The device looks sleek, a design similar to Dell Venue Pro, but thinner, taller, and more polished, but to be fair the Venue Pro was released back in 2011. From previous leaks the device will have a 5.4-inch QHD display, a 1.8GHz hexa-core Snapdragon 808 processor, 3GB of RAM, an 18MP rear camera, as well as a 5MP front-facing camera. 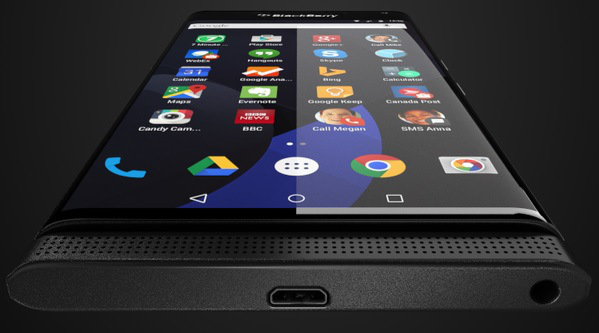 There is still debate whether the device will be running on BlackBerry’s own OS, or a forked version of Android. So far, as a Blackberry fan, I love what I see so far. What do you think tweet us @AsianGeekSquad.